Before creating a team, you will first need to import your pool of talented individuals. From the Talent page, click the purple “+ TALENT” button directly above the search box. 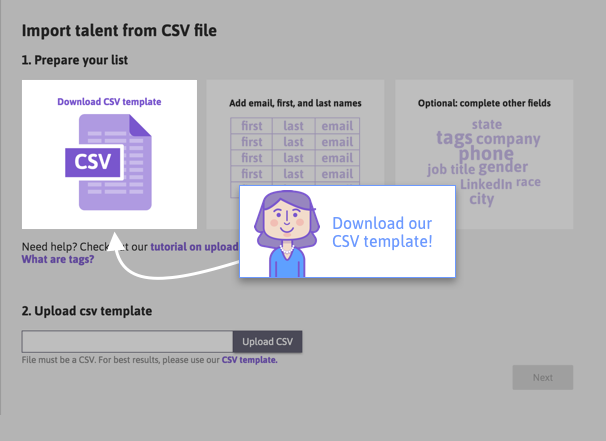 Notice you have the option to import talent individually or in bulk. 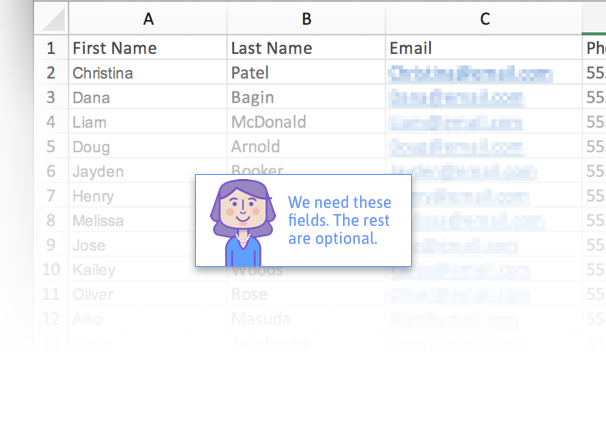 Use “Add a person” if you want to add your talent one-by-one. Click the big, white box with the CSV icon inside of it. Want to prepare your list while you wait for your lineup site? Download the template now and start to work. Make sure that you give everyone a first name, last name, and email address. Those three things are required. Don’t worry, you’ll be able to review your list before uploading. And you’re done! 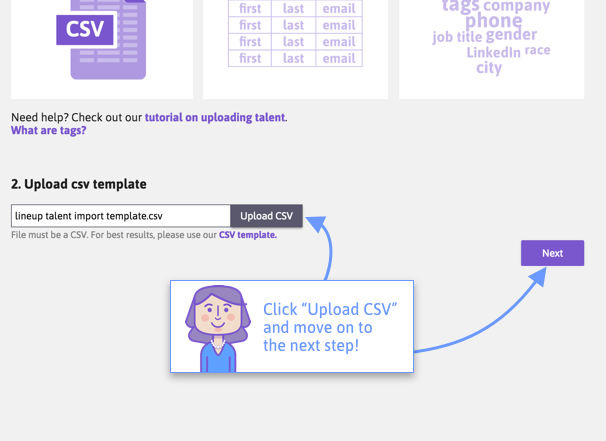 All your new talent, including all the information that you wanted to import, will now be available to you in the Talent Search, and ready to go into your teams!